New York is home to 304 Title IV degree-granting. Title IV schools are approved for Title IV federal financial-aid programs, which makes them more accessible to students with financial need. To become a Title IV school an institution must (1) have accreditation recognized by the U.S. Department of Education, (2) offer a program of at least 300 clock hours in length (3) have signed a participation agreement with the Department, (4) grant an associate's degree or higher, and (5) have been in business for at least two years. Besides being home to the nation’s second largest number of Title IV schools, New York is an entertainment capital, with nearly 200,000 salaried artists, designers, and more. Not surprisingly, many New York designers studied and trained in the state as most New York schools offer outstanding art and design programs—including graphic design. Many are high on the list of the nation’s best graphic design programs. Although New York’s finest graphic design schools can expensive, the cost is well worth it. Graduating from a top NY graphic design school is a major accomplishment to most employers. This means, you will surely stand out from the crowd. If you’re ready to review New York’s graphic design schools, take a look at the most to least expensive schools below and what you can expect to pay. Keep in mind that resident tuition is typically lower than non-resident tuition and because these schools have Title IV status, a number of financial aid programs are available. Syracuse University, Syracuse - Tuition Cost: Undergraduate $40,380; Graduate $24,138 for the 2014-2015 school year. Tuition does not include fees or other expenses. The Cooper Union for the Advancement of Science and Art, New York - Tuition Cost: Undergraduate $39,600 for the 2014-2015 school year. New students receive a half-tuition scholarship worth $20,000 per year and returning students receive a full-tuition scholarship worth $39,600 per year. St. John’s University, Queens - Tuition Cost: Undergraduate $37,870; Graduate $27,480 for the 2014-2015 school year. Rochester Institute of Technology, Rochester - Tuition Cost: Undergraduate $36,596; Graduate $40,158 for the 2015-2016 school year. School of Visual Arts, New York - Tuition Information: Undergraduate $35,000; Graduate $41,860 for the 2015-2016 school year. Sage College of Albany, Albany – Tuition Cost: Undergraduate $27,000 for the 2014-2015 school year. Purchase College, State University of New York, Purchase - Tuition Cost: Undergraduate residents $6,170, nonresidents $15,820 for the 2014-2015 school year. State University of New York, Oswego - Tuition Cost: Undergraduate residents $6,170, nonresidents $15,820 for the 2014-2015 school year. State University of New York, New Paltz – Tuition Cost: Undergraduate residents $6,170, nonresidents $15,820 for the 2014-2015 school year. Fashion Institute of Technology, New York - Tuition Cost: Undergraduate residents $5,468, nonresidents $14,490; graduate residents $8,698, nonresidents $17,810; Graduate residents $10,370, graduate nonresidents $20,190 for the 2014-2015 school year. 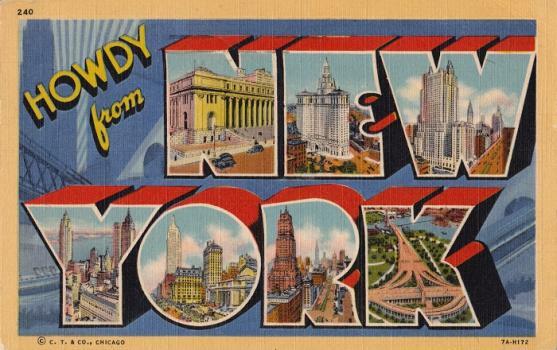 What makes New York one of the best states for graphic designers? For starters, New York is home more than 18,000 salaried graphic designers, and thousands of self-employed designers. The state has second highest employment level in this occupation, the highest concentration of jobs and location quotients, and at an average salary of $60,560 per year, New York is number two on the list of top five highest paying states for graphic designers. Of the top ten metropolitan areas for graphic designers, the New York-White Plains-Wayne, NY-NJ Metropolitan Division has the highest employment level and the sixth highest concentration of jobs and location quotients. The area is also number seven on the list of top paying metro areas for graphic designers. Awesome Animation Fact: Although Shrek the Third (2007) had one of the highest openings in theaters ever for an animated film (more than $120 million), Shrek 2 (2004) actually ended up earning more with a whopping lifetime gross (domestic box office) of $441,226,247. It opened with just over $108 million.